Parenting a child as a single parent is the most challenging job any mother can ever think of, and when she is engaged in a demanding profession like journalism, the challenges itself interprets into a whole new level. The American Journalist, Tracye Hutchins has however been able to stand up as the role model for every mom as she's been raising her daughter all on her own alongside her career. The Scottsdale-native is best known for her role as the co-anchor on CBS46 News. Alongside fame, Tracye has now become the core member of the network with more than a decades of tenure. Tracye shares her daily life happenings on her official Twitter which has over 6k followers. Tracye Hutchins, who stands at the age of 49, celebrates her birthday every 19th of January. Just like every normal kid, she grew up in Scottsdale, Las Vegas with her family, But not like every other normal kid; she's been able to achieve a lot in her career. Tracye Hutchins joined CBS 46 as the co-host of a morning show in 2007. After a remarkable start in her CBS 46 career with coverage of various events and interviews of numerous celebrities, she was then promoted to evenings show just after six years in 2013. Following the promotions, Tracye, as of now has completed her 11 years at CBS46. She still has a lot to offer to the network, as now she serves as a co-anchor for CBS46, at 4, 5, 6 and 11 p.m.
Before joining CBS46 in Atlanta, she served as a presenter for the CBS affiliate KFMB in San Diego, California. 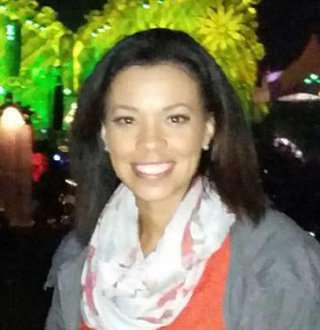 Adding to her working experience, the Scottsdale-native also worked at CNN Headline News for four years. During her tenure at CNN, she swamped a lot of followers from her news covers of daily health stories, entertainment features, and world news events, out of which, the most significant being; live coverage of several headlining events including the break-up of the Columbia space shuttle over Texas and the capture of expelled Iraqi leader Saddam Hussein. Although she's been relishing a very successful career, her relationship life has not explicitly been up to the par. The Scottsdale-native is not basically one of those who has been able to balance their professional and personal life. Tracye was once a married woman; she went down the aisle with Steve Overmyer, the American TV news presenter in a private event in 2001. She also shared a daughter with him who goes by the Instagram name, Paige. But, not long after two years into their lovelife, the doubleton tore apart their relationship with a divorce in 2003. Ever since then, Tracye is not only living her journalism career but also fulfilling the responsibilities of a mother as she took over the sole authority of her daughter following the divorce. Although Tracye shares a failed marriage, she is not the one to keep lamenting about the heartbreak. Instead, she is a happy mother of one (from her Social Media flaunts). And the mother-daughter duo recently visited Dubai which supports the fact that they are very close to each other. Besides, her daughter also shares a very healthy relationship with her father, as she was spotted with him just a month after her trip to Dubai with her mother. Fair enough to say, Tracye and her ex-husband does not compromise anything when it comes to their daughter even after divorce.